When we look at those glamorous faces on TV, it’s easy to forget that celebrities—like the rest of us—often went through an awkward stage in adolescence. But once in a while, something comes along to remind us that flawless Hollywood smiles didn’t always start out that way. 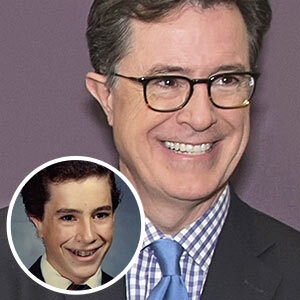 Right now, that something is the hashtag #PuberMe: an invitation from late-night TV host Stephen Colbert for fellow celebs to post awkward photos from their youth. In exchange for posting the embarrassing images, Colbert’s charity is donating to the hurricane relief effort for Puerto Rico; so far about $1 million has been raised. Also raised: many eyebrows, by the adorably dorky pictures—such as the one of Colbert himself, with a smile full of metal braces! 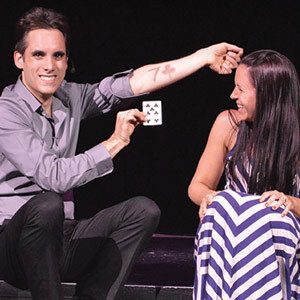 Like many kids, Colbert had teeth that didn’t align properly in his bite. The picture shows that several of his top teeth are in less-than-perfect positions, with noticeable gaps in between. Yet to look at that same smile today, you’d never suspect there had been a problem. That’s the magic of orthodontics. Time-tested and effective, metal braces like the ones in Colbert’s picture remain among the most widely used appliances today. But orthodontics has come a long way since the late 1970’s, and now there are several other methods for correcting misaligned teeth, including ceramic braces, clear plastic aligners, and invisible lingual braces. The main advantage of the newer methods is that are they are harder to notice (and maybe a bit less awkward). Ceramic braces, for example, have brackets that match the color of the teeth; with only the thin archwire visible, they’re much more unobtrusive. Clear aligners are transparent plastic trays that completely cover the teeth. Almost impossible to spot, they are worn 22 hours per day, but may be removed for eating or important events. Lingual braces are literally invisible, since they are placed on the tongue side of teeth rather than the lip side. In many situations, they are at least as effective as traditional braces. Which appliance is best for you? It depends on each person’s individual situation—but many orthodontic patients now have choices that weren’t available in the past. And that goes for both kids and adults, who often appreciate a more “grown-up” image while improving their smiles with orthodontic treatment.